This Health Gear Deluxe Inversion Table incorporates the latest in advanced Heat and Massage Therapeutic Inversion Technology along with a premium grade Dura Foam Padded Backrest Support for maximum comfort and support. Unlike other inversion tables made out of plastic, or thin padding, this model incorporates thick comfortable structured foam, and a durable cover to ensure ultimate comfort. 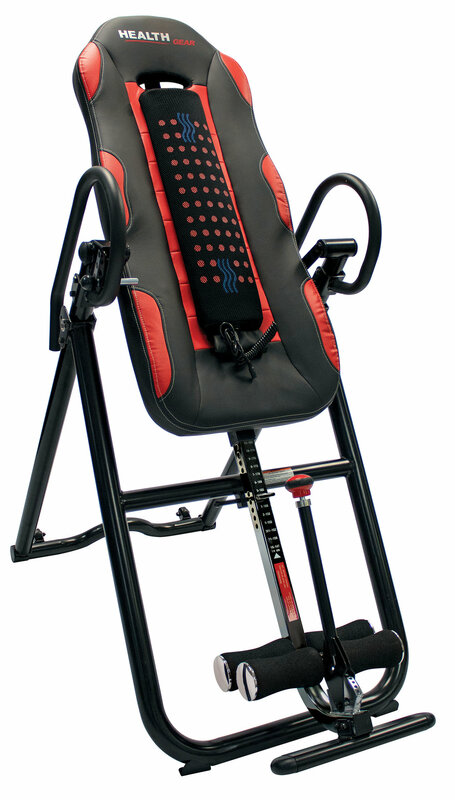 Be on your way to a better back with the Health Gear ITM 6000 Heat and Massage Inversion Table.